UMBRELLA FOUNDATION is located in Imphal Manipur . UMBRELLA FOUNDATION is registered as a Trust at Imphal East of state Manipur with Ngo unique registration ID 'MN/2013/0057724' . 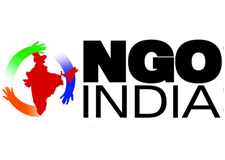 The NGO registration is done by Sub-Registrar with registration number 537 of 2005 on the date of 11-08-2005, Its parent ORganaisation is PaulFoundation. The Chairman of UMBRELLA FOUNDATION is Md Atawer Rahaman and Chief functionary officer is Mk Imran. Since last 7 years umbrella Foundation conducted several awareness and welfare programme of the deprive and the weaker section of the society. Organized community development programmes. Enhanced community understanding through education.